Okay, so it’s not exactly #manimonday up in here, but as I looked down at my going-on-three-weeks gel job, I started panicking and called up my nail girl for an appointment tomorrow. Then, I did some Insta exploring and fell in love with some looks that I’d venture to say would be so-so tight for fall brides. From totally fancied-up French manicures, to gorgeous pastels and bomb blue beauties, the nail trends that we’ve been keeping up with for fall are also so wearable for chicks saying ‘I Do’ in just a few. They’re just as glam as the styles ripped straight from the runways, but they have less of shock factor to make them decidedly bridal. Minimalistic metallics - Sure, chrome is cool and a mirrored mani goes a long way for matching an edgier ensemble. But for your wedding day, metallics are best used in moderation. Glitter cuticles - Okay, this look was destined for bridal. The simple glitter detailing around the cuticle and outside of the nail bed. It’s kind of the perfect accessorizing trick to sync with your jewelry too! Oh -- and we have an on-point Swarovski style that will be your new obsession! Modern blue - This one is ideal for adding some sass to a traditional neutral nail (which is getting a little too basic for brides). 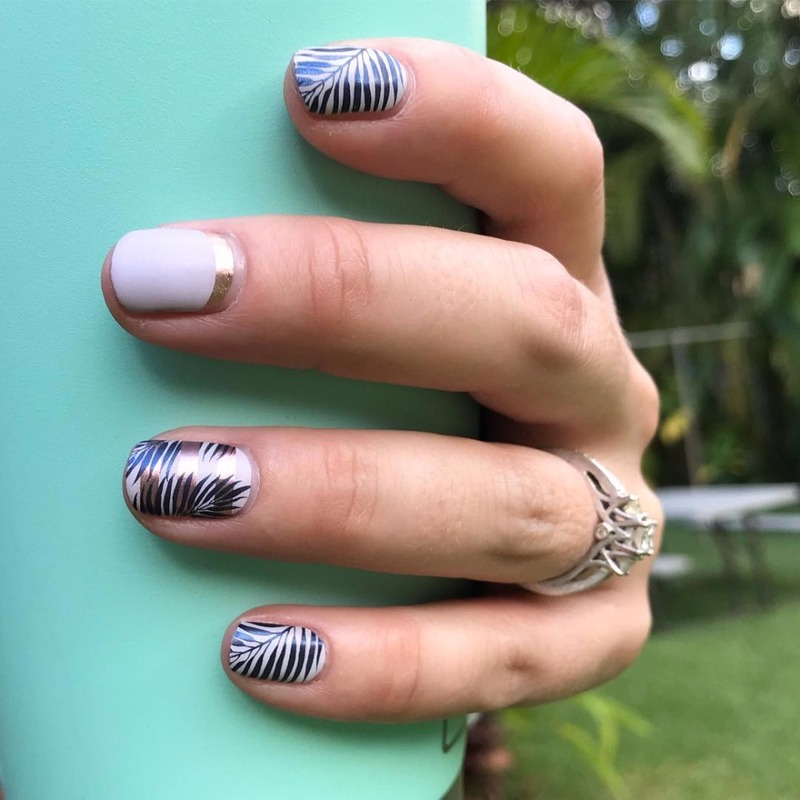 Adding navy or cobalt to the bottom half of the nail creates a stunning effect, especially when it’s not so symmetrical. Celestial appliqué - Brides don’t need to stay away from starry embellishments - especially when they add such a perfect sparkle. We like baby metallic moons and gilded starbursts. Nothing extra about it! High-impact holographics - Oh, the unicorn beauty trend doesn’t shy away from nails… in fact, this iridescent interpretation is incredibly lit for brides with wedding day style ambitions that aren’t totally traditional. Peep some of our favorites and start brainstorming your own wedding nail mood… and while you’re at it! Don’t forget about getting your skin in shape too!